Are There Foods I Should Avoid If I Have Diverticulitis? The general advice is to adopt the diverticulitis diet. Avoid foods that are high in fiber (residue) when you have a diverticulitis attack, and once the symptoms go away, slowly increase your fiber intake to restore regular bowel movements and reduce the risk of future flare-ups. In the past, doctors would advise patients with diverticulitis to avoid certain foods that were thought to increase gut inflammation and worsen the condition. These foods included nuts and seeds, popcorn, some vegetables and fruits, whole wheat, acidic, sugary, and fatty foods, and other processed foods. Sounds crazy, right? What can you eat? The truth is that few studies have looked at what foods are good or bad for diverticulitis, and none have found evidence supporting the need to avoid certain foods. In fact, a 2008 study published in the Journal of the American Medical Association found that nut, corn, and popcorn consumption did not increase the risk of diverticulitis. That being said, each person is unique, and certain foods—particularly foods high in fiber and residues—may still trigger diverticulitis attacks some people. This has lead to mixed advice on what should and shouldn't be eaten. According to Dr. Keith Kantor, a doctor of nutritional science from Atlanta, "Following the three phases (of the diverticulitis diet) is a great idea to gently reintroduce high-fiber foods." When reviewing the recommended foods below, Dr. Kantor recommends finding the least processed (most natural) versions to avoid other harmful effects. For example, sports drinks are recommended when you have a diverticular flare-up because they provide hydration and electrolytes, but opt for natural sports drinks that do not use dyes, syrups, or preservatives. The currently recommended diet to treat diverticulitis includes eating foods that are low in fiber and avoiding foods that are high in fiber. In mild cases, diverticulitis may go away on its own, or your doctor may prescribe oral antibiotics (intravenous antibiotics if the condition is severe) and put you on the diverticulitis diet. What Foods Can I Eat If I Have Diverticulitis? The purpose of the diverticulitis diet is to allow your digestive system to reset and rebuild its health. Initially, you will cut out fiber intake to reduce the symptoms, after which, you will gradually increase your fiber intake as symptoms improve over the course of a few days. There are three stages: clear liquids, low-fiber foods, and high-fiber foods. Because of the reduced food intake, especially in the first few days, you may not be getting enough nutrients. Speak to your doctor to determine if this diet is safe for you. In most cases, they may supplement those nutrients using an IV. Although increasing daily fiber intake can help soften stool and facilitate bowel movements, increasing too quickly can cause discomfort, pain, and increase gas (flatulence). It is important to transition to a high-fiber diet only when no symptoms are present with a low-fat diet or when your doctor determines your diverticula are no longer inflamed. What is the reasoning behind these dietary restrictions? Diverticulosis is when small pouches (diverticula) form due to the bulging of the intestines—usually the colon—out of the outer intestinal lining. There is currently no consensus on what causes diverticulosis, but there are two possibilities: 1) excessive strain causing pressure to build up (similar to a hernia), and 2) not eating enough fiber. This is a common condition and is generally asymptomatic—most people don't even notice them. Diverticulitis is the inflammation of one or more of these small pouches. Again, the exact causes are unclear, though doctors agree that there are many possible contributing factors, including low-fiber diet, lifestyle, genetics, and age. 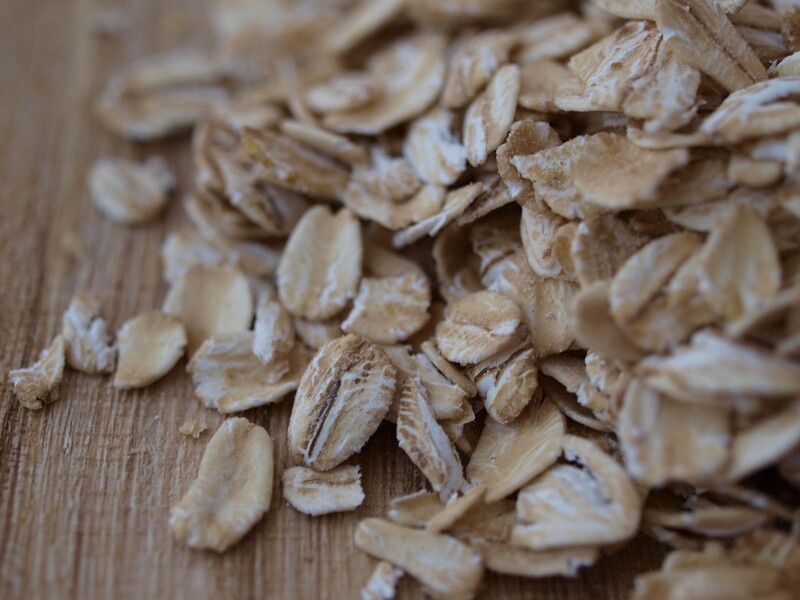 Oats are a great and easy way to get your daily fiber intake once symptoms subside. Dietary fiber is not digested or absorbed by the body, so it does not contribute any calories. However, fiber can soften and bulk up the stool to ease the passage through the colon. This is why a low-fiber diet is thought to contribute to diverticulosis. Impacted stools require more strain, increasing the risk of forming diverticula. 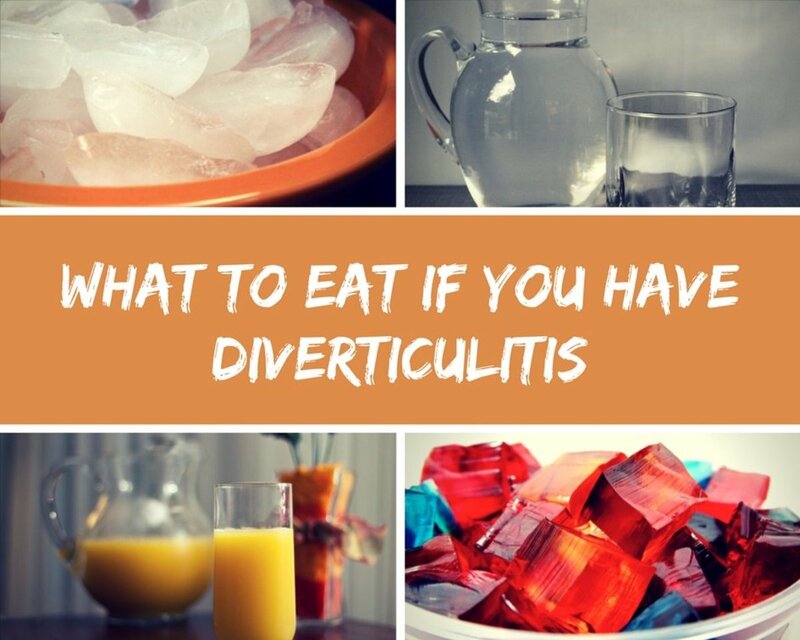 According to the National Institute of Diabetes and Digestive and Kidney Diseases, if you have diverticulosis, or if you have had diverticulitis, a high-fiber diet may help prevent diverticulitis flare-ups. However, if you have a flare-up, it's best to avoid fiber until symptoms calm down. The added bulk may cause the stool to press against the diverticula, irritating them and causing more pain. Soluble fibers are soluble in water and create a pasty, gel-like substance. They help control blood cholesterol and glucose levels. They are also fermentable, meaning they can be digested by your gut microbes to create gas and other byproducts. Insoluble fibers do not dissolve in water and add bulk to the stool, making you feel full quicker and eases the passage of stool. Supplementing with insoluble fiber is popular for weight management and constipation. Can Diverticulitis Pain Go Away on Its Own? Mild cases of diverticulitis may not require treatment. More severe or recurrent cases may require antibiotics and an all-liquid or low-fiber diet until symptoms stop. The pain can generally be managed with acetaminophen (Tylenol). 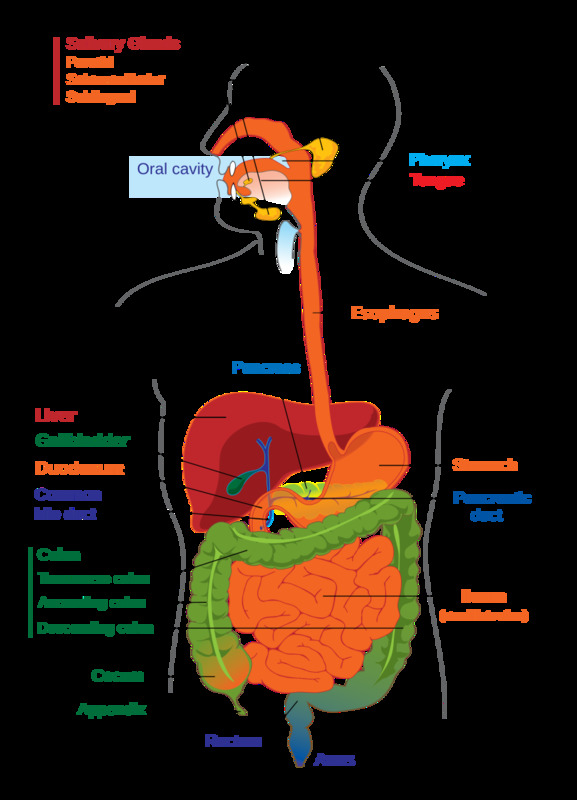 Aspirin and ibuprofen should be avoided because of the risk for upset stomach and internal bleeding. Keeping a food journal and maintaining a high-fiber diet can help you avoid flare-ups, although they are not a guarantee. According to the Dietary Guidelines for Americans, 2015-2020, adults should eat 28-34 g of dietary fiber every day. Can You Drink Alcohol If You Have Diverticulitis? The common advice is to avoid alcohol when experiencing digestive problems. However, according to a recent meta-analysis published in the Hawai'i Journal of Medicine and Health, regular alcohol consumption was not found to be associated with incidences of diverticulosis or diverticular attacks and did not increase the likelihood of being diagnosed with either condition. That being said—like with all other foods in this guide—it's best to consume alcohol in moderation. If you notice any increases in discomfort, stop drinking immediately. Can You Eat Pizza With Diverticulitis? It depends on the person. There are no recommendations against eating pizza. In addition, it does not have much fiber, with just 2.5 g per slice of cheese pizza. However, certain toppings like cheese and peppers may increase irritation. Again, each person is different. Keep a food journal to keep track of what works for you. In general, it's best to eat in moderation. If you have any doubts, talk to your doctor or a nutritionist. Can You Eat Lettuce or Salads With Diverticulitis? Most raw vegetables and some cooked vegetables (e.g. corn, broccoli, cauliflower, onions, peas) should be avoided, but leafy vegetables may be okay. Again, you can eat a small amount and see how it affects you. 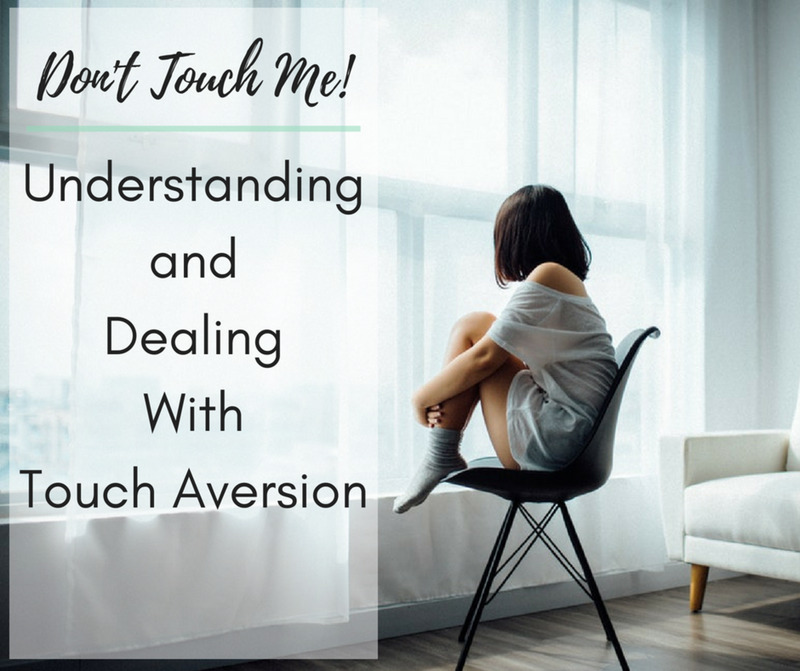 This article is meant as a guide to be used for informational purposes and is not meant to diagnose or treat any condition. It is recommended you speak with your doctor for the best treatment plan for your situation. Jackson, Frank W., M.D. (n.d.). Diverticulosis. Jackson Siegelbaum Gastroenterology. Jackson, Frank W., M.D. (n.d.). High Fiber Diet. Jackson Siegelbaum Gastroenterology. Mayo Clinic Staff. (2017, Sept. 22). Diverticulitis diet. Mayo Clinic. NIH. (n.d.) Diverticulosis and Diverticulitis. MedlinePlus. WebMD staff, reviewed by Neha Pathak, MD. (2017, Nov. 30). Should You Try a Low-Residue Diet? WebMD. Zeratsky, K., R.D., L.D. (2016, Sept. 20). I have diverticular disease. Should I avoid eating nuts and seeds? I've heard conflicting advice. Mayo Clinic. So, I'm looking at this list of foods that I can't eat. What's left to eat. Main focus on fruit and vegetables. As found in a few comments here, this list is a bit confusing and overwhelming. It is clearly aimed at an active episode of Diverticulitis (infection) and not the diet that needs to be followed by a person with Diverticulosis (underlying condition). I have had several severe bouts of Diverticulitis confirmed by CT Scan, two requiring hospitalization, a few that required antibiotics at home and following the dietary suggestions in this article. 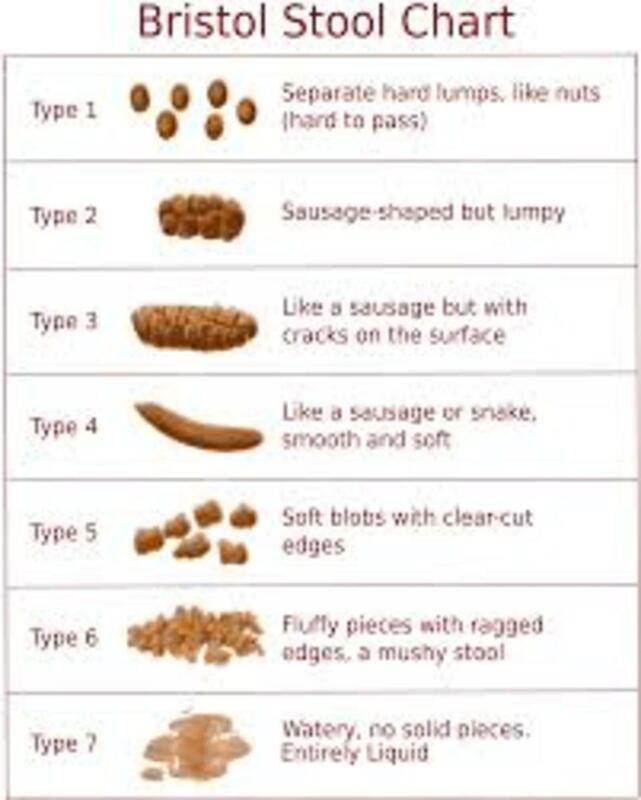 Everybody is different but if you are new to having Diverticulosis, or have had a bout of Diverticulitis I would start out following the no seed, no nut theory and see how you do. Some people can reintroduce seeds and nuts with little to no problems and some people eat anything they want. I’m not one of those people with nuts and seeds indeed being big trouble for me. I do miss out on a lot of foods but unless I am having a full blown bout of Diverticulitis I can eat quite a few of the foods in this article minus the nuts and seeds. I have been diagnosed with Diverticulosis for some 5-7 years. I had my first bout of Diverticulitis 3 days ago. There is a difference between Diverticulosis (the general underlying disease) and Diverticulitis (infection and inflammation of the Diverticula). The information above is absolutely correct for/during episodes of "Diverticulitis" (you want to east things that are easy on your system to help it heal). There is a post some 21 months below (by KT) which is correct, it's worth your time to scroll down and look. After your diverticulitis has passed (mine requires help from my doctor and antibiotics, and probably 15 days to make sure) , it should be safe to go back to a normal "healthy" diet which can contain high fiber foods such as whole grains, nuts and seeds (but please consult your physician). 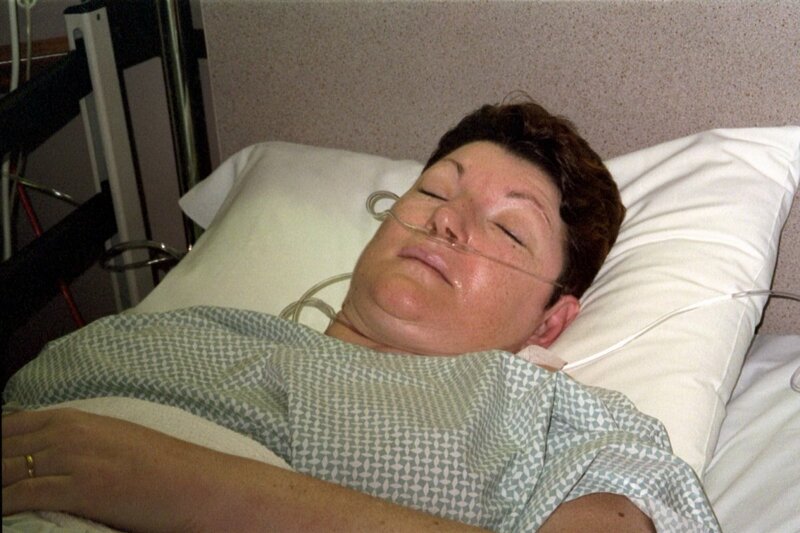 You do not want Diverticula to rupture, death from infection (Sepsis) is not out of the question. Most of the advice on this is ancient old and BS. IT'S A MATTER OF FACT NUTS AND SEEDS ESPECIALLY POPCORN BEEN PROVEN TO BE BENEFICIAL FOR PEOPLE WITH DIVERTICULITIS IT'S A MATTER OF FACT NUTS AND SEEDS ESPECIALLY POPCORN BEEN PROVEN TO BE BENEFICIAL FOR PEOPLE WITH DIVERTICULITIS! I agree .. What can we eat with this.. They should show us what we can eat .. on here it shows we can't eat anything ..
Is there anything that i can eat and survive?????? Is it ok to eat a soft taco frin tacobell? So, as far as popcorn. I usually eat a tub of it at the movies. I have been spitting out the hard seeds and just eating the popcorn. Is this ok? I usually flick it forward and hear it hit the floor while the people turn around to see where it came from. Jackie I can sympathize with your dilemma and the information is confusing. A cause for Hope though as you read through the information the diet for Recovery along with your antibiotics is almost the opposite of what you will have on a daily basis when you have put this into remission. Very low fiber products are recommended immediately following the diagnosis. After that 10-day Mark you can begin to introduce higher fiber foods gradually and that is the goal over the Long Haul. I hope this helps. I was diagnosed a month ago with diverticulitis, at first the doctors thought my pelvic pain was caused by Scar Tissue the formed when I had a hysterectomy 9 years ago he said if it is scar tissue then we'll remove it via laparoscopy, well after a CAT scan with contrast it was determined that I had diverticulitis, it is horrible I cannot eat anything because in my case when I try to eat things I'm not supposed to I feel pain , I'm in pain right now as we speak, taking 875 mg of antibiotics for 10 days , I would've much rather preferred the car tissue because that would have been taken care of with a surgery , all these websites are so confusing one tells you to eat fiber the other one tells you not to , all I know is that I can't even see meat . right now I'm dealing with being upset and frustrated, glad to found this site with that can relate to this mess. The foods listed above are totally different than other health sites I have recently read. The other ones says that you need to eat fruits, vegetables, navy beans. How do you know which one to believe if you have Diverticulitis?????? Ok, that is list of many foods. Now tell me what foods I can eat! No vegetables? What fiber can I eat so I can go to the toilet without boughten fiber crap!!! Can anyone tell me if it is safe to eat a lovely ripe avocado? So after reading this I come to the conclusion that you can only drink sterilized water and should wear a face mask covering your nose and mouth to prevent breathing in or smelling any food. Get all your personal affairs in order because you are fixing to die from malnutrition. This article should have included foods that you CAN eat, if there are any. (No wonder I feel so good when I fast from eating.) Probiotics would be good, as long as you are not on Flagyl, which would just wipe out the probiotics! This is the most frustrating disease! I was first dx with diverticulitis in March and am 6 days into my antibiotics for a flare up! I did indulge in peanuts and almonds recently and feel that is what triggered it. The antibiotics are horrible ... Flagyl is so strong and I feel dizzy and nauseous. Once I am done with antibiotics and can return to a somewhat normal diet, I plan to majorly increase my fiber intake! Wondering if anyone knows that if your fiber is high enough couldn't you eat whatever you want!?! Also, my doc never discussed probiotics... any advice would be appreciated. So basically eat nothing. I am vegetarian so I guess I am goi g to have problems. POPCORN! It's free at Rural King and on Memorial Day they give you a very large bag to take home for yourself. I are the hell out of it for 2 days straight. Hid it from the wife and kept eating the hell out of it. ZUCCINI! At the same time I ate all that popcorn I was harvesting about 4lbs of zuccini every other day from my garden. I was eating zuccini on and in everything! A few days after eating these types of food I came down with serious pain, I thought I was passing a kidney stone since I'm fortunate to pass those quite a bit also. I was diagnosed with Diverticulitis. In a real short conversation he said you have diverticulitis, don't eat nuts or seeds and you will be on Metamucil every day for the rest of your life. I'm 45 by the way. He prescribed me an antibiotic, and that was all, so I researched and I'm still researching what others say about this desease. There's a lot of conflicting stories about nuts and seeds. From reading everyone's comments here, I'm making the change to avoid them, and especially popcorn. I called a specialist the other day just to see if they would chat on the phone about and they did. That office said the same, and they were certain popcorn is what caused it. After reading the blogs here, I've made the connection with zuccinni as well. If anything I believe it was either one of the two, or both. With zuccini and tomatoes, I'll be careful to pick out the seeds like the other blogger mentioned. Better safe than sorry. 1st bout few months ago & landed in ER followed by 3 different antibiotics. Been searching for more info & my IM DR didn't offer much. This post was so welcomed but still not confident about what is safe. Having some discomfort as we speak. Try to be careful but so confusing. What do you do when you start having abdominal pain? Is yogurt considered a probiotic? Will that help & can you take Advil? If I eat zucchini will those tiny seeds hurt my diverticulitis? I agree with almost all the comments in this article and they were very helpful, not the article itself. What I'm trying now. I haven't been doing it long, so I'll have to check back in when I know. I eat/have always eaten a lot of grilled chicken salads with no problems. I now pick all the seeds out if the tomato and cucumber as I love both on my salad. I found an oatmeal on Amazon with 10gr of fiber per pouch that I eat mornings. I drink a V-8 juice each day. I now chew a fiber and a probiotic gummy per day. I drink lots of water. So far, no pain or chronic diarrhea, but the verdict is still out. This is such a confusing and frustrating disease...the disease itself and the info given by the medical community. I had several tests ran 3 yrs ago because of stomach issues(chronic diarrhea), they ruled out all food allergies and suggested I have a colonoscopy...test results, no polyps and no mention of diverticulitus, no need for another colonoscopy for 10 yrs. Cut to August, 2016-after over 2 mths of on/off stomach pain, ended up in the ER of a very reputable hospital in NC. Diagnosis, acute diverticulitus with perforation, abscess that tested positive for e-coli. Admitted to hospital for 5 days on IV Cipro and Flagyl. Had 2 CT scans, the 2nd one to insert drainage tube in my abdomen. No food or drink for 3 days! Ugh! Got sent home with the drain(in for 10 days) and another 10 days of the 2 antibiotics. Recommendations after release-remove the diseased part of colon, no food restrictions, was told the info about nuts, seeds and berries is an "old wive's tale". Opted out of surgery for now as the doctor in the ER was a surgeon, imagine that! SMH!! April, 2017-another attack, back at ER, different doctor, another CT scan-no perforation or abscess this time, sent home with the same 2 antibiotics and told not to eat nuts, seeds or berries and to get another colonoscopy. After 2nd colonoscopy-the PA's question-didn't they tell you 3 yrs ago that you had diverticulitus? Me-no! PA-hummm, well, you did. Me-I could have used that info 3 yrs ago!! Recommendations-high fiber diet, no nuts, seeds or berries, lots of water and probiotic supplement. Thank you ALL for the posts!! I just had an ER visit with this condition and am recovering at home with the antibiotics etc. etc. This certainly helps to fill in the gaps!!! can you eat tomatoes & salami? This is not true if you change your diet. I changed my entire diet and now eat Alkaline Vegan. I eat all the nuts and seeded fruits and veggies I want and have no more diverticulitis issues for over 2 years now. When before I was in the ER twice a year for this. There is no medical proof for 98% of what you cannot eat in this article. Consult with your colon rectal surgeon before following the advice from the lunatic that wrote this garbage. I've had diverticulosis for 16 years. I know what I can and cannot eat but sometimes you just have to say screw it and endulge. Diverticulosis is dangerous and deadly it's like Russian roulette. When you're hospitalized and told you have a 50/50 chance of dieing from sepsis if the perforated part of your colon bursts it's scary. You end up getting used to a new way of eating.....you have too. After recovering from a serious bout, I've found that eating oatmeal is really helpful for my guts and makes me feel much better. I'm not sure how much fiber is in oatmeal, but since I've introduced it as my main breakfast, my guts feel much better. Can you eat soft pretzels? Rice cakes, jello, baked fish and chicken, peaches and pears without the skins, applesauce, cooked squash, carrots, mashed potatoes...these while you are recovering...gradually build up more fiber. With some care you may be able to remove the "itis" from your verticula. Be gentle with your colon...you only get one, and you can't live without it. There is no scientific evidence to back up your evidence regarding the avoidance of nuts and seeds. First of all hearing these first hand experiences regarding DV are much more useful than most of the medical info you get from a health professional that probably hasn't experienced this painful condition. I will get to my point. I have Diverticulitus with a perforation. I have had 3 hospital visits with 5 day stays each time. No food, No drink at all. Only I.V. fluids. Needed complete bowel rest due to the perforation. While my condition is more extreme than most. 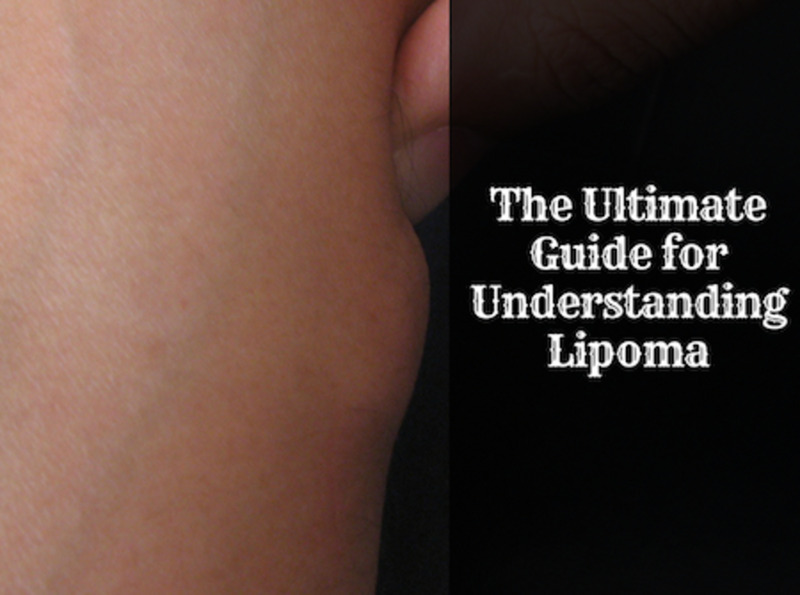 (only 1-2% of people that get to stage 2 which is the itus not the osis ever have a perforation. note. You don't want to have a perforation. Anyhow, I know exactly what triggered all 3 of my events. The first one was about 2 cups of pistachio nuts. The 2nd trip to E.R. 6 months later was after 2 nights of binging on popcorn. The 3rd trip 12 months later was 3 days of eating chips and salsa. So that one could have been due to either too many seeds from all the tomatoes in the salsa, and/or all the corn chips. Diverticulosis is quite common. Most people don't know they have it. If you have itus watch the nuts, seeds, popcorn, tomatoes, berries with seeds. Oh and this is important. STRESS can and will aggrevate your condition. It's taken me 4 years to find this out. So people if you feel something coming on, don't panic. Try to relax. Stop eating. Drink broth and some saltine crackers for a day or 2. Mashed potatoes were always good for me. They are easy to digest and you feel full. Then try and pinpoint what you think caused your pain and weed it out of your diet. I have continued eating most foods again, minus what Ive mentioned. I just have to work on the stress thing now. Good luck everyone. This site has really outdated information. The nuts and seeds thing has been basically debunked for over a decade. Just be careful with them, and eat only one kind at a time to see if you can tolerate them. I'm good with all seeds except for sesame for example. Don't stick to the info on one site and talk to your GI doc, not just the internet. @Nola sorry to hear your pain. Its a double edge sword to eat fiber, but not eat fiber when diverticulosis is present. Try eating oatmeal every morning, in addition to whatever else you eat, at least a half cup cooked, that will help the stool, and should not distress the bowels or linings. It may be one or two things in your diet throwing you into such agony, you'd be surprised, and it can change as you get older too. during the rest of the day, foods like applesauce(plain) is good for bulk, okra(no prob with constipation there), and soaked seaweed, one inch strip is nice. @Leonie you may want to see what all you ate at the time of the popcorn, especially if you ate it in the past with no problem. Popcorn can be hard on the lining of the bowels too, if irritated from something else. The kiwi fruit is all seeds(ok, not all), even small ones can affect some people, badly. I can't handle flax, raspberry seeds no kind of way. Once the spasms start, it takes at least a day for my body to recover from seeds. I take care to eliminate fruit seeds when possible. Thank you for the helpful advice. I had my first severe attack in November 2016. I ate popcorn, and I've been eating popcorn for many years without any problems. I have never in my entire life experienced such pain on my stomach, nausea and fever. I saw my doctor and he referred me for an ultrasound. The lining of my stomach was badly inflamed. I went for a colonoscopy and Diverticulitis was confirmed. My GP prescribed Tavaloxx 500 antibiotics which worked immediately (within an hour the pain stopped). I did not follow a diet, ate every now and again cornflakes for the fibre. 3 Weeks ago I had a severe attack, worse than the first one. We were away in the berg and I ate corn on the cob and kiwi fruit. I had fever, chills and severe stomach pain. I could not stand up straight. Luckily before we left on holiday I asked my GP for a script of the antibiotic for just in case .... I believe the antibiotics saved my life! I am also terrified when I eat anything. I carry the antibiotic with me and take every second day a "Natural Detox Bowel Cleanser" capsule first thing in the morning with a glass of water. It seems to help. Sorry to hear how some of u suffer. I have my bad days too, and seems worse as I get older. This post is extreme in what you can't eat, but I'm glad it's posting something at least, that can aggravate the bowels. I'm tired of Drs saying blankly, "eat a high fiber diet". That's all my GI guy said! But he doesn't care about something that throws my colon into violent spasms, and that there is something I'm eating that does it. He doesn't get it? I can't eat all fibers! Violent spasms leave one non functional!!! So, like another poster said, you have to find out what you can and can't eat by trial and error. For me, it's seeds, was flax (even ground), now raspberries too, and any seed if in significant amount. So for all the berries I push them through a sieve, so it's ok then. Also, white flour products constipated me no matter how much water I drink. So one work around is oatmeal at least once a day, and a strip of high quality Nori at dinner, soaked in water. No seeds there, but I hope I don't rebel with that in the future! The seaweed seems to hold water as it courses my bowels. Also, I get the pureed baby food fruit and vegetables in the drinkable packs, preferably ones that aren't all sweet, many are. Hang in there, and do get your colon screenings as recommended. i googled till i found a good list. foods to avoid or limit. spicy, broccoli, cabbage, corn eat creamed corn it will digest better, limit dairy, red and green peppers, beans, fatty foods/fast food, lentils, butter, cheese/soft cheeses not good, go for lactose free dairy. what i got from the ER after my first attack, white bread, cereals, rice and pasta, cooked fruits and vegetables or soft fresh fruits and vegetables without the skin. ground or well-cooked tender beef, ham, veal, lamb, pork or poultry, eggs and seafood. after doing well on the low-fiber diet you will go on a high-fiber diet which includes whole-brain breads, cereals, pasta and brown rice. choose fruits and vegetables with skin on. DO NOT overcook the vegetables. choose nuts, seeds , legumes, dried peas, beans and lentils. which is funny cause the other list said not to eat them, but i guess if you limit them it's ok.look for food products that have more than 3 grams of fiber per serving on the food label. like i said this is my first attack, i had had a homemade pizza the night before my attack, but i will have to be more careful of what i eat and the amount i put in so i don't have another attack. it's about the amount you eat and what you eat, limit or do away with things that you feel won't help you and you will be just fine. i hope what i shared will help, google is a great helper for all of this. If you really are in pain you can follow this diet. I am having a flare up after consuming coconut and several meals of red meat. Yes red meat is harder to digest and was told to avoid it. Some great recommendations here. There is conflicting information in the medical world regarding nuts, popcorn etc. I had an abscess and thought I would literally die with he pain. I am on keflex and flagyl and the treatment for DV is also terrible. Did anyone have problems with the AB regime. It is basically down to brown Rice Krispies and green tea now. I'm having my first attack and find all of this info very helpful. Thought I would add a comment though. My husband had bariatric surgery several years ago. The one thing that the doc said that stood out to me was that you can live on protein and recommended protein drinks specifically after surgery. We used the Syntrax Nectar and Premalean brands. Both have about 20 gms of protein per scoop. the Syntrax has samples of each flavor that you can buy so that you don't have to spend so much money buying the large containers. These are all powders and can be mixed with water or other liquid. They are very filling. We bought the samples, tried them, the ordered those that we liked. I also like the Permalean chocolate. Since they are powders they last forever. I didn't get much advice from my doc on what to eat, but after treading this I think I have a better grasp of what I can eat, at least for now. Thank you all for your posts and support. Hope this helps some of you. By the way, I have had to order these products online. I've never seen them in the stores and the carbohydrates will be about half of the protein amounts. I was just diagnosed with diverticulitis on Tuesday. Spent two days in the hospital, first on clear liquids and the last on soft liquid and finally on regular food. I'm with the rest of you, according to this you can't eat NUTTIN'! DAMN! My doctor has told me to reintroduce foods gradually and pay attention to what I eat. In scared to death as one doctor said "you'll eventually have a colostomy bag". Not gonna happen. Can anyone tell me if I can eat linguine and clams with having diverticulitis? Good morning all. Yes, this monster is utterly ridiculous I agree what can we really ever eat again. I just experienced an attack on last week, awww it was terrible I had the CT Scan done as well. Good thing it came back showing no perforations just infected so I'm on the antibodies which I have started to feel a little better. I have been on the liquid diet since Monday, I am truly hungry but am still so afraid to eat something. I just feel so light headed and like I wanna regurgitate all the time. I love Ice Cream I'm glad so far we can still have the pleasure of that, but not too much. I just pray we all overcome this monster one day soon. Be Blessed!!! This is crazy! You can't eat nuts, seeds, popcorn.. Seeds are in cucumber (I cut out the center part) tomatoes, do the same thing. Avoid all berries but blueberries. Don't fry anything! potatoes ok, but not the skin. Stop butter, but use olive or avocado oils for cooking and salad dressing. I had my first attack ever last week... It's horrible but , my Dr at the hospital went through all this before I left. I have 1 more day of the liquid diet, then I start the soft diet soon at least I can eat eggs, white bread. Pasta and rice. Ice Creme, pudding , Mashed & whipped potatoes (No whole grain at all for the soft diet. Two flare ups over 8 years. First, I pigged out on cashews a whole bottle. Second pickles and tomatoes. I found myself eating a tomato and a pickle with my lunch sand witch. Man did I regret that. But antibiotics and cutting out foods cleared it. I will not eat nuts, corn, and if I eat tomatoes I peal the outside off to eat. I have had this condition now for several years. I have never been more depressed it is just awful. I have never been a good eater and now I hardly eat anything it just scares me to death. All the things I really liked are now off the list. I can't eat most of the things on these lists without a flare up so I tend to go hungry and weak most of the time. Sad but true I feel better on the days I go without. It is not much of a life though. I also know how you all feel about the bloating too unless you get this you could not even begin to imagine the discomfort. I guess I have become a bit of a sad and moany person so my kids tell me. I am only 55 and hate I can never have a raspberry or sweet little tomato ever again. I have to take spare clothes with me where ever I go and am in the loo half the rudy morning even when I have had next to nothing. Best cheer meself up with a small slice of cheese about the only pleasure left lol. Basically, they told me they removed the damaged part so now I was ok??? The doctors told me right after the surgery, while I was still in the hospital, I would be on IV for the first 2 days then clear liquids, then eventually soft solids, then to slowly increase a low fiber diet, then they said when I went home to slowly go back to a normal diet nothing too spicey and increase the fiber slowly... I can not imagine doing this!!! I will never eat a nut , a seed, popcorn, regular corn or anything like that again!!! I have been just trying to follow a healthy diet as best as I can, fiber supplements, etc... I went to 2 gastro doctors, they are all telling me I do not have diverticulitis because they removed the damaged part, but I somehow was doing something wrong for this to happen to me! The doctors now are saying all those things that the things that were said years ago about nuts, seeds, are not the case anymore... They have done studies and it is not always the case, they even encouraged me to try these foods and see if anything bothers me... Well, I ask you if you went through what I went through would you even dare to try theses things.? I am not trying to scare anyone I am just saying please be careful and follow what works for you...I am just so afraid now!!! I never want to go through that again!!! Guess I am just very paranoid about it!!! I was fine one day and the next day I wake up with a colostomy bag! The doctors all told me that it is my choice, but gave me the diverticulitis diet anyway. I didn't even tell you part 2 of my story... So about a year later after my 2nd surgery, the reverse of the colostomy, I had another surgey due to scar tissue / adhesions that had developed from my previous surgeries... The scar tissue had developed and wrapped itself around my colon, so they had to remove 3 more more inches of my colon... Thank god I didn't have to get another colostomy bag...the surgeon had said that sometimes adhesions develop as your body heals, and that not all people get it, but some do. I guess I am just one lucky person!!! I went to get some different opinions about that as well... They say some people do not develop scar tissue until years later... Honestly, now I don't know what to do now!!! I am grateful to be alive, don't get me wrong, I just hope no one ever goes through what I went through... So I am just trying to be healthy and live my life every day as best as I can! Tammy, you have to stay on the diet even after you have the damaged part taken out? I had the worse case scenario all at once out of nowhere! Not to scare anyone but, all I am saying is to please follow the diet your doctor tells you and find out what works for you! Never cheat or take any chances!! I am telling you this because I want you to be informed, and I pray this never EVER happens to you!! One day I had severe pain in my stomach, not really sure what I ate to cause the pain, I went to the emergency room they did some tests, CT scan etc...and they told me I had a perforated colon, which was most likely caused by diverticulitis. I was arguing with the Doctor telling him I don't have this, I have never been diagnosed by this??? The doctor told me I may have never had any symptoms, and that sometimes this can come out of no where... It is not as rare as you think!!! Perhaps if I had a colonoscopy they may have detected it? Anyway, they had to perform emergency surgery, and if they did not do the surgery, that my colon would have burst, they told me that it would have been fatal... The doctor had to remove 8 inches of my colon, and I had to have a temporary colostomy bag!!! All I can say is that this was horrible! Thank god it was reversible after 8 weeks! I will Never Ever eat a seed a nut, corn ever again!!! I am trying to follow this diet as best I can!!!! Best of luck to all of you!!! It is very important to distinguish between Diverticulosis (the condition) and Diverticulitis (the painful flare up inflamation events). For Diverticulosis to maintain health and avoid painful flareup events, highest fiber diet is crucial. Get lists of fiber content on all foods before eating. Aim for 30 grams of fiber per day. Add high-fiber drinks to your daily regimen. When a painful flareup occurs and you need antibiotics to bring it under control, a very low fiber diet is then necessary. This is during the course of antibiotics to help heal the inflamation. After the antibiotics slowly increase fiber again to high levels. To maintain health and prevent painful inflamations, read all the labels of all the foods and try to maximize fiber content in whatever you are eating. This method has helped me manage my Diverticulosis for a number of years while happily eating yummy food and only having to restrict myself when I have bouts of Diverticulitis. I was in hospital for over a week w DV in another state then I lived!! Dr there and thank goodness Dr in my state agreed on same things.... Eat in moderation of food as popcorn, nuts, etc. Once a month, Not everyday or week!!! If you have pain, stop eating and go on liquid diet for 2 to 3 days and lots of rest...then go back to high fiber. Just pat attention to what works for your own body! Your entry was the most information have received and I thank you for taking the time and effort to post all the foods. I just had my second bout of diverticulitis and have asked the doctors both times for lists of good/bad foods. They did not have one. So frustrating. I will carry your list with me. Thank you, thank you, thank you. No longer do doctors state to avoid nuts, seeds corn, popcorn etc....as there is no evidence that this causes a flare up. You obviously just wouldn't eat these foods during a flare up as it will cause more pain. This information was from a doctor based site. I just came out of emergency with my first attack. I have a gluten and dairy intolerance so i have been eating white rice and chicken and boiled eggs. Can i make soup out if cauliflower if it is pureed? The dr told me nothing of what not to eat. The information on what not to eat was rather disturbing and overwhelming..I'm glad people have spoke up on it..thank you for your comments, they were more informative and comforting, I'm not feeling so alone in this battle..
To Jessica, I am just suffering my fourth round of diverticulitis in a year. I read your entire comment and I can't tell you how informational it was to me. I hope to others as well. I want to thank you from the bottom of my heart for taking the time to write your list of foods. It's more than what my Dr gave me. God bless you and thank you so much....again. I'm 24 and was diagnosed Dec. '14. I went to the hospital due to severe stomach pain and ended up there for 4 days, while my 3 year old and 4 month old (who is nursed exclusively) were home with my husband, it was awful! I was on Cipro, Flagyl, and Pepcid for 2 weeks. The doctor game me 2 lists of what I can/can't eat. The first list was all low-fiber foods, for the first 4 weeks. The second list was foods with higher amounts of fiber. My first full day in the hospital I was not allowed anything to eat. The second day was broth, mind you, hospital broth, yum! The third day was solid food. They said I had to take it easy, and avoid fiber the first month because I had to rest my colon. Basically, they don't want you going to the bathroom too often, because your stool would obviously have to pass over the infected area. Think about it, if you had an abscess on your gum, you would avoid that area when brushing. (Sorry, that's the best analogy I've got.) So, about 2 weeks for the infection to go away, and 1 month total for the strict diet. Yes, it does seem like there is nothing for you to eat, but I managed. Protein: Tender, well cooked beef, pork, poultry, fish. Eggs cooked well. Smooth nut butter (remember, no pieces!) Tofu, if that's your thing. Vegetables: Canned or well-cooked vegetables, no skins or seeds. Mashed potatoes. vegetable Juice. Fruit: Canned, soft, or well cooked fruits, no skins, seeds, membranes. Fats/Oils: Limit to 8 teaspoons per day. When possible choose healthy oils/fats, such as Canola or Olive oil. Other: Broth and strained soups made from allowed vegetables. Desserts- small portions without whole grains, nuts, seeds, raisins, or coconut. Tough or Fatty meat. Anything fried. Lunch meat. Sausage/Bacon/Hotdogs. Anything raw(meat/sushi/eggs). Whole-wheat anything. Brown rice/quinoa/kasha/barley. Oatmeal, anything whole-grain and high-fiber. Raw/undercooked vegetables. Peas/Corn. Gas-forming vegetables. Potato skin. Raw fruit. Coconut, Avocado. I really hope that helped. I basically wrote an article there. Sorry it's so long but I asked my doctor so, so many questions and everyone deserves to have this information! The rule is after this boring 4-week diet, you have to slowly increase your fiber, ultimately leading up to 30 grams of fiber per day. So basically, switch all the whites to wheats and browns (bread, pasta, rice). I wish everyone well! Oh, one more thing, jarred tomato sauce does have little, tiny seeds in it. I found that out by the jar and once when I ordered a pizza, I figured let me just lift up the cheese and look, oh I was so mad! lol. I did, however, just read that Cantidina removes the skin and seeds to make their sauce! I'm looking forward to trying it. I really need to learn how to make my own! I'm having an outbreak of diverticular this is the first in a while don't want to go hosital been up all night I'm losing blood and mucus and having lose stools is there anything I can do to avoid hospital please I am 59 yrs . Yeah I was diagnosed 6 years ago. I ate half a can of cashews and 2 days later extreme pain could barely walk up right. Doc told me not to eat all nuts and seeds including all berries because they have tiny hard seeds. Any hard sharp or giddy like cornmeal. I had one more attack shortly after being diagnosed ate some strawberries. That was the last time I ate strawberries and I haven't eaten nuts or seeds which has kept me from any flare up. I have no problem eating all vegetables even dill pickles or corn on the cob Has been ok. So a good rule is don't eat anything hard, sharp or griddy. That includes some spices like fennel seeds or pumpernickel multi grain breads. It works for me. Hope this help someone. Just home from 10 day stay in hospital with diverticulitis. I never want to go through that again. I am so afraid it will happen again. 41, and am at 58 now. I have had probably a dozen or so attacks, and you just never know what will trigger it. Stress is a huge factor. I even tried those Juice Plus capsules, and they almost sent me on my 4th hospital stay. Drink plenty of water, and listen to your body. If you don't want to eat, don't eat. But just drink plenty of water to stay hydrated. My body tells me what it wants and what it needs, but it may have messed up on the okra. We'll see. Wishing all good health and hoping that we can get rid of the scare tactics as in the article above and come to the realization that everyone is different. Hang in there. As I lay here in a hospital bed waiting to go home tomorrow, I ran across this site. My Dr's advice was a soft diet. Meat, potatoes, & steamed veggies (which I can substitute with low sodium V-8). Luckily I avoided the surgery, but have been here 5 days on IV antibiotics & morphine. His (diet plan) for me is......no salads, no raw veggies, no raw fruits, & drink lots of water. This is his soft diet, which I can handle. Obviously no nuts, seeds, or popcorn. Like I said, I'm in the hospital, I was put back on real food 2 days ago. I have had soft shell tacos, bacon, a hamburger, and even pancakes. Everyone's body is different, but I do believe these foods made my bowels finally move. My doctor had no problem with these foods. His main advice was absolutely NO roughage. It's all trial and error. I do believe this site went extremely overboard and that can scare people. So, basically once you have had diverticulitis you have to stop eating. Period. I forgot to mention nuts. Small amounts seem to be OK, if chewed slowly. Unchewed nuts can lodge right in the diverticuli and cause a nasty infection. Sort of gave up on nuts. Even chewed, they turn into concrete in the lower intestine.... particularly peanuts, particularly boiled peanuts (a "delicacy" here in the South). Good Luck and keep your spirits up! This list is a little ridiculous, and I think each person's situation is different. According to this list, the only thing you can eat is MEAT. Gee, that helps me a lot. I have gout, too. I had two attacks recently, both after eating a lot (and I mean a LOT) of eggplant. Is this the cause? Maybe. Sometimes too much heavy lifting triggers it. Stress, too. Being out of shape, overweight, drinking too much - all factors as well. The ONE THING I have definitely given up is popcorn. And I've loved popcorn since I was a little kid. But those kernal shards are like little knives in my lower intestine. Corn on the cob is problematic unless you CHEW IT A LOT. I take a Metimucil capsule every day with a large glass of water, and drink lots of water. Dehydration doesn't seem to help diverticulitis. I have NOT had a problem with "soft seed" vegetables like cucumbers and tomatoes. So I don't know why those are on the list. Everyone's situation is different, and some people literally "outgrow" it over time. I went for nearly two years without an attack, and then had two in a row, right after having eggplant. Is this the cause? I am not sure. It is all too easy for amateurs to make cause-effect links. I do have a problem with ibuprofen (which really helps with the intense pain from this disease). It makes me break out in hives. They do not hurt, but are uncomfortable, and sometimes my whole face swells up! It took me about three years to make the ibuprofen/hives connection, and only after seeing two allergists, two doctors, and reading up a lot about side effects of ibuprofen. So, it may take you just as long to figure out what triggers a diverticulitis attack. For me, popcorn and corn-on-the-cob (another favorite!) were quick to figure out, as there were several cause-effect episodes. I am 71 years old in February of this year I was diagnosed with diverticulitis. does anyone have a good diet for diverticulitis on what to eat and what not to eat. would appreciate any info that you can give me. What a bunch of drivel! So much conflicting info regarding what you can & can't eat. Comments from Santi & Common Sense ring true. Having DV myself, eating what you feel comfy with and most of all a little exercise is working for me. If you currently have a flare up of diverticulitis, is ice cream easy to digest? In general, I understand it's good to avoid, but I'm looking for some low residual foods to eat. It looks like you could eat bell peppers. Just remove the seeds which I do anyway . also cucumbers, squash, zucchine, and etc. I wonder if this person has ever had diverticulitis?? These are only the opinions of the author. I have had DV for 5 years, your body will tell you what it can and cannot take. You should adjust accordingly. There are other sites which conflict w the ideas here. However, if you want to follow the ideas above, you should learn to love dog food! Although in their next installment I believe it will be included as well. I just got diagnosed with DV. My goodness, what can I eat? when I got to the end, I said according to this write up, you cant eat nothing? I guess you would only eat certain nonseeded or peeled veggies and would have to cook them before,maybe a v-8 would be better! This diet would seem to preclude food in general. Since diverticulitis also calls for a high-fiber diet, how would one get it by leaving out almost all vegetables?